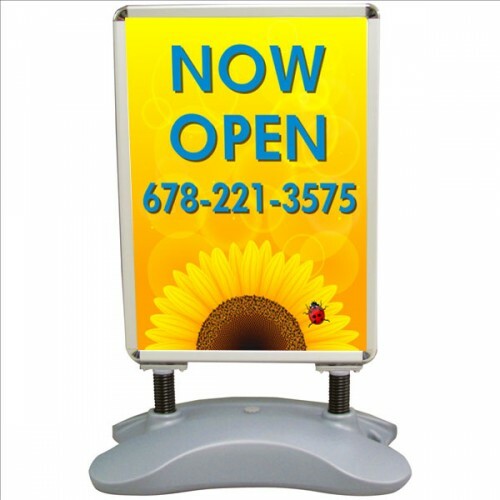 A nice spring mounted sign with an easy to move ballast weight. 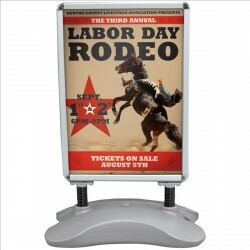 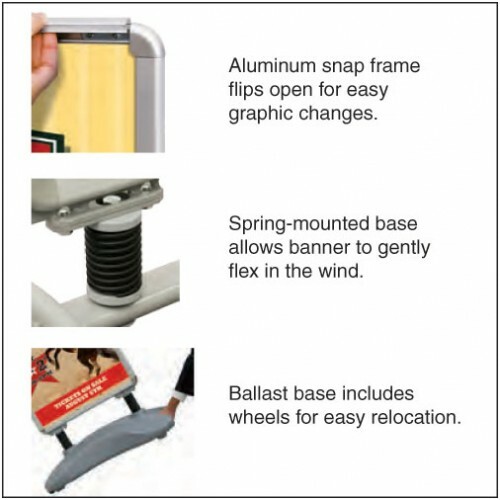 The sign has a sturdy lightweight aluminum frame accompanied by a spring mounted ballast base with wheels. The spring loaded frame secures the 1 mil PVC digital print graphic and opens easily. Base fills with sand or water to anchor your display. 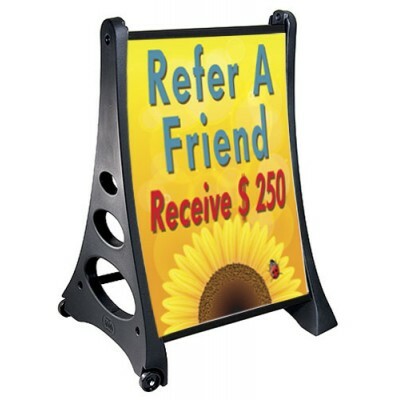 Can be use as a one or two sided display. 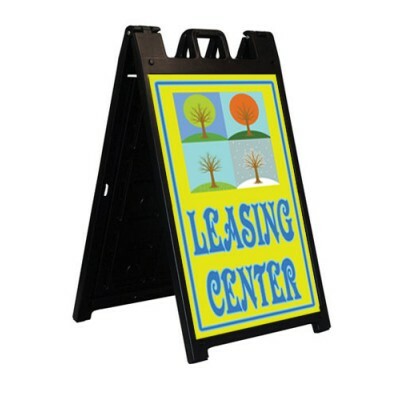 The overall size of the sign is 25.5"W x 44"H x 29" D. The 1 mil PVC digital print graphic is 23.43" W x 33.125" H. Price includes two custom graphics. 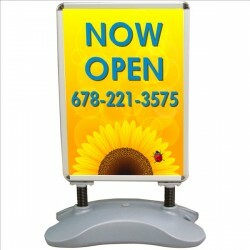 Let us know what you want to say and we will email you artwork for approval.